Renowned international recording artist and The Voice of the Philippines' coach, Apl.de.Ap had crossed out one of the items on his bucket list. 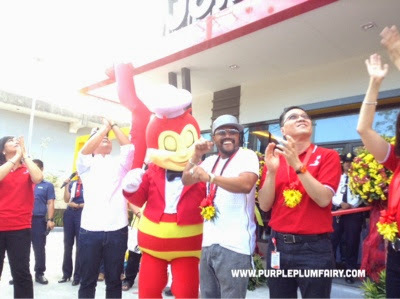 He had just added another feather on his cap as he takes the langhap-sarap goodness of Jollibee to his fellow kabalens--he formally opened his very own Jollibee franchise store in Dau, Mabalacat, Pampanga. Allan Pineda a.k.a. 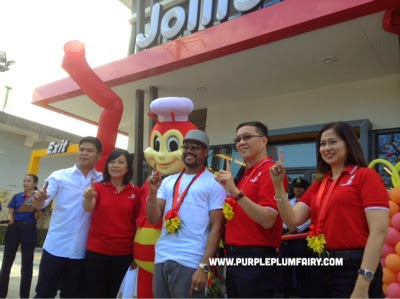 Apl.de.Ap of the popular group, Black Eyed Peas, had always dreamed of owning a Jollibee franchise. "I'm still sort of pinching myself. 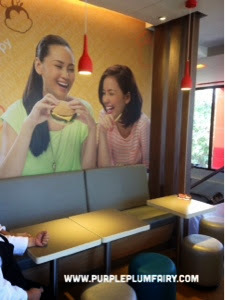 I still couldn't believe I'd be having a Jollibee branch of my own. It had always been at the back of my mind. 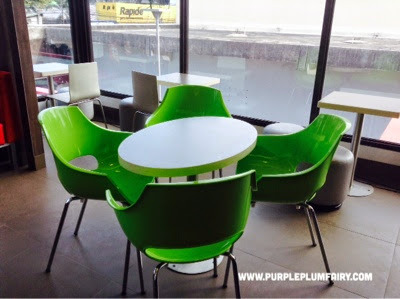 I could still recall those days when my Mama and I would pass by at a Jollibee store. Back then, I was still very young and I would often ask my Mom if we could buy something to eat at Jollibee. She would always answer me with, "Sa susunod na lang, anak," recalls Apl.de.Ap. 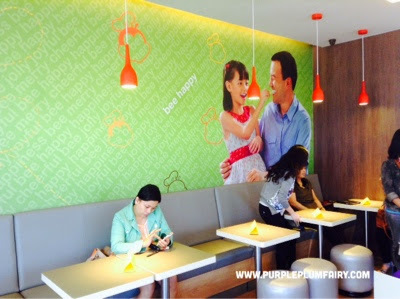 "When I was finally given the chance to dine at Jollibee, I remember it was pure bliss! 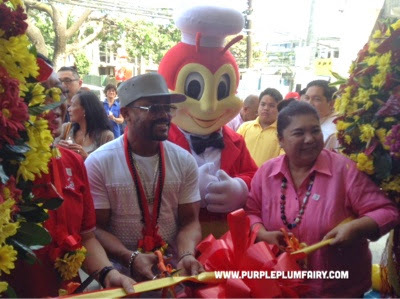 It felt like I was in food heaven," Apl.de.Ap quips. "Now that I'm blessed, I aim for employment among my fellow kabalens (the locals). 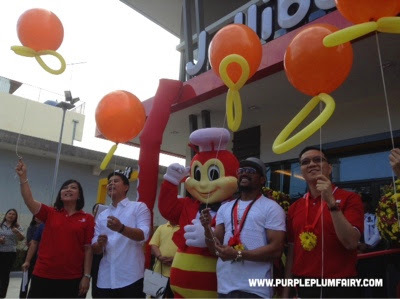 I've decided to open my own Jollibee franchise store to bring joy to everyone in Pampanga," says Apl.de.Ap whose favorite Jollibee products are Spicy Chickenjoy and Fiesta Palabok. "Before I even left (my hometown), I knew I'd be coming back home. That's why I'm very excited to open my very own Jollibee store, right in my home province. It's the kind of product I grew up with. 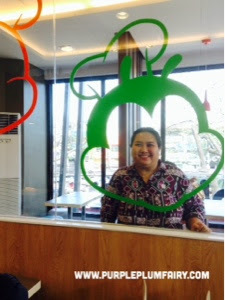 Partnership is very important to me and Jollibee has always had the heart for family and communities." 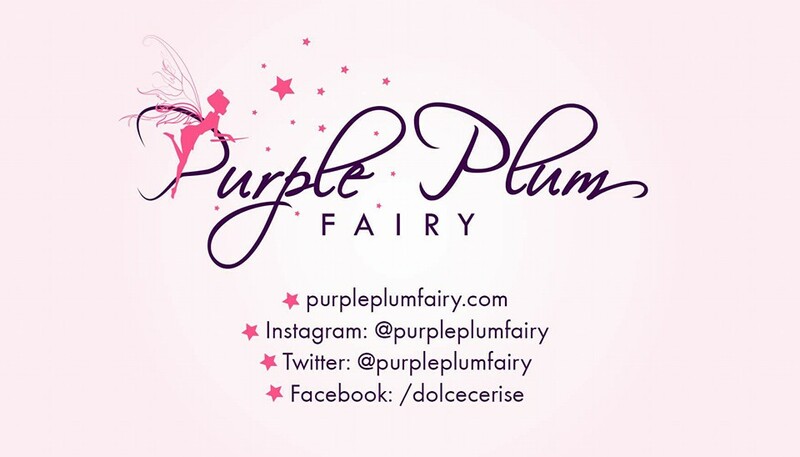 Apl.de.Ap sees his franchise not just as a business opportunity but also his way to help create employment opportunities for his fellowmen. 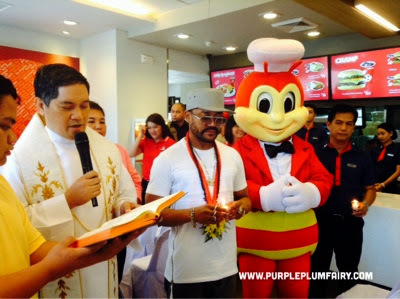 "We are proud to welcome Apl.de.Ap into the Jollibee family as a franchise partner who not only shares in our commitme to reach more Filipino families and bring them together over great-tasting langhap-sarap food but also believes in helping other people through philanthropy works," said Jollibee Philippines President Joseph Tanbuntiong who led the ribbon cutting and store blessing ceremonies along with Apl.de.Ap and Jollibee Regional Business Unit Head for North Luzon, Kay So. The Jollibee Dau Mabalacat store blessing program started off with a simple thanksgiving mass. It was followed by the ribbon cutting ceremony and the highlight of the program were Apl's live 3-song performance to the delight of the guests. 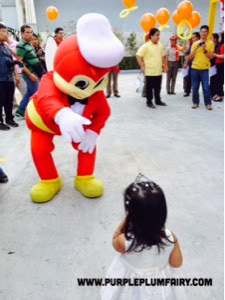 Of course, a Jollibee store won't be complete without the mascot, yes, Jollibee himself, who also graced the said store blessing. Guests were also treated to their signature langhap-sarap favorites to cap off the special occasion. 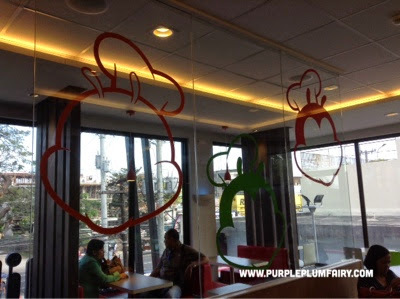 Purple Plum Fairy finds this transparent glass decorated with colorful shadows of Jollibee cute. 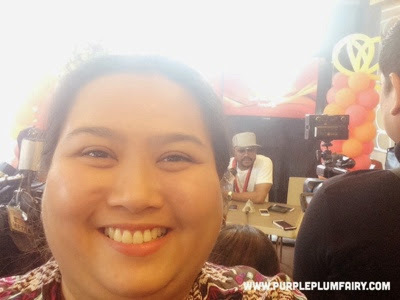 Your Purple Plum Fairy did a selfie as Apl.de.Ap was interviewed by the media. 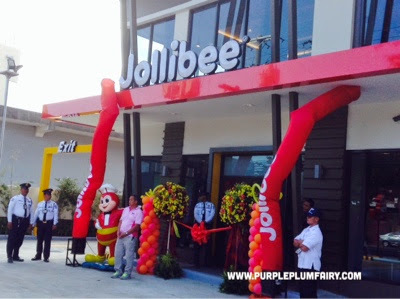 Jollibee Dau Mabalacat is the 33rd outlet in Pampanga. 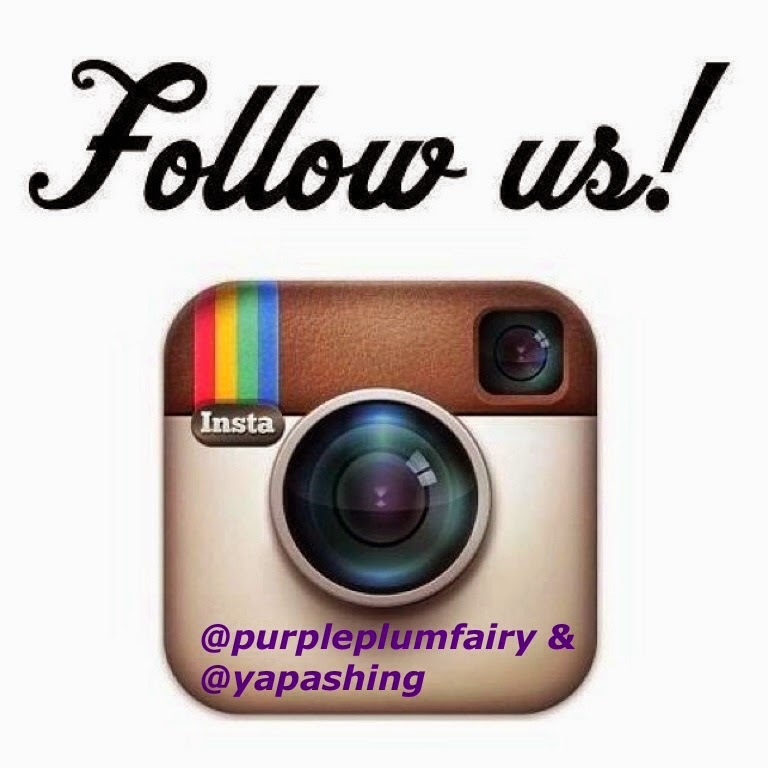 It features the latest store concept designed to make family's bonding experience more enjoyable. It stands on almost 1,100 square meters with 185 seater andh as a drive-thru service. The opening of the new store is in line with the brand's goal to reach out to more families across the country, with Jollibee stores having more than 850 branches nationwide.